When will be Fearne & Gok: Off the Rails next episode air date? Is Fearne & Gok: Off the Rails renewed or cancelled? Where to countdown Fearne & Gok: Off the Rails air dates? Is Fearne & Gok: Off the Rails worth watching? Fearne Cotton, Gok Wan and two celebrity guests explore the latest celebrity styles at red carpet events such as the BAFTAs and the BRITs. Lydia Bright and Louise Redknapp are on hand for a discussion on this week's fashion hits and misses with Fearne Cotton and Gok Wan. Fearne dares Gok to leave the house wearing an outfit off the runway. Fearne and Gok present a Valentines special of the show with Philip Armstrong. Plus a look at the BAFTA red carpet with Angela Scanlon. A look ahead to London Fashion Week with Laura Jackson and Hilary Alexander. Fearne Cotton and Gok Wan are joined by TV presenter Laura Jackson, former TOWIE star Lauren Pope and fashion journalist Rosie Underwood to discuss the week's hottest red carpet looks. Last in the series. 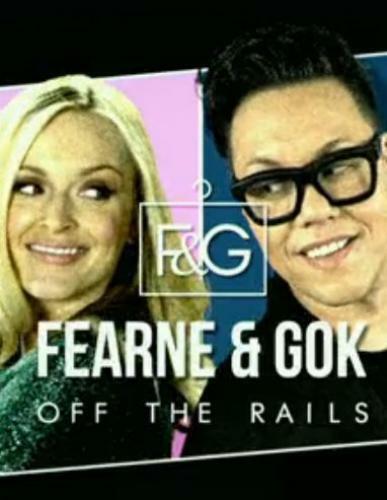 Fearne & Gok: Off the Rails next episode air date provides TVMaze for you. EpisoDate.com is your TV show guide to Countdown Fearne & Gok: Off the Rails Episode Air Dates and to stay in touch with Fearne & Gok: Off the Rails next episode Air Date and your others favorite TV Shows. Add the shows you like to a "Watchlist" and let the site take it from there.